Of all the summer blockbusters, of all the most talked about movies, of all the most anticipated movies of the year, who would have figured that Seth MacFarlane’s Ted would be one of the bright shining box office achievements? Having just crossed the $200 million mark this past Sunday, Ted becomes only the sixth summer film and the eighth film of the year to cross the mark domestically. It is also doing incredibly well overseas, taking in another $32 million this weekend in 21 territories, for an international total of $77.3 million and a worldwide total of $280.7 million! Not bad for an R-rated comedy that features a foul-mouthed, trash-talking Teddy Bear and his human buddy. Like all successful R-rated comedies, this one had appeal to the date crowd, had an ultimately positive message and had key scenes or moments of dialogue that are imminently quotable or “conversation piece” worthy. Add to this an appealing cast including Mark Wahlberg, Mila Kunis, and some terrific cameo appearances and the recipe for success was complete. The outrageous concept alone was enough to get curiosity seekers in the door that first weekend of June 29 when it opened at number one with a whopping $54.4 million (the biggest R-rated non sequel comedy debut over The Hangover which had $44.98M in its debut) and kicked the teddy bear stuffing out of fellow newcomers Magic Mike ($39.1M in second place) and Tyler Perry’s Madea’s Witness Protection ($25.4M in fourth place). As director, writer and voice of Ted, MacFarlane drew audiences beyond the devoted Family Guy fan base who initially came out in droves, while great word-of-mouth and positive social networking chatter have kept Ted in the Top Five of the box office chart for each of its six weekends in theaters. 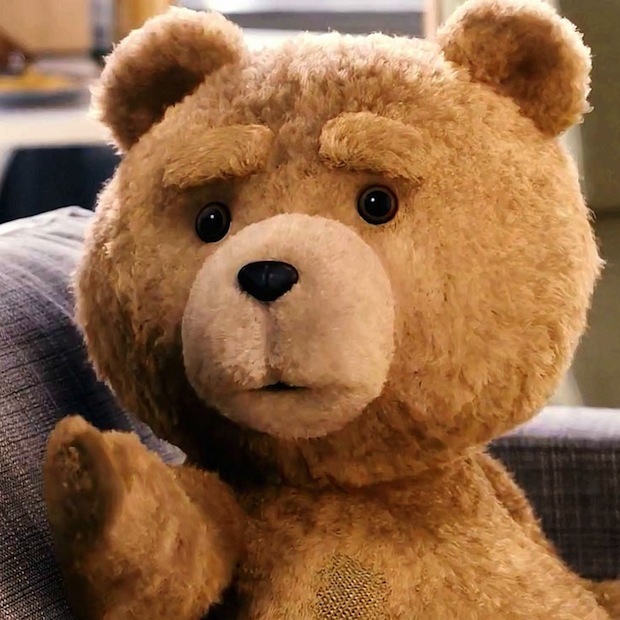 In fact Ted has had a very similar box office trajectory of the 2009 R-rated comedy hit The Hangover which after 38 days in release had earned $222,444,906 vs. Ted’s $203,413,895. It is clear that successful summer movies are not just about sequels, space aliens, super-heroes and family-friendly animated films. Sometimes it’s simply about originality, fun and a nice dose of raunchiness and Ted having those in abundance has come out as a true winner. ‘Brave’ Vs.’Magic Mike’ & ‘Ted’ at Box Office!